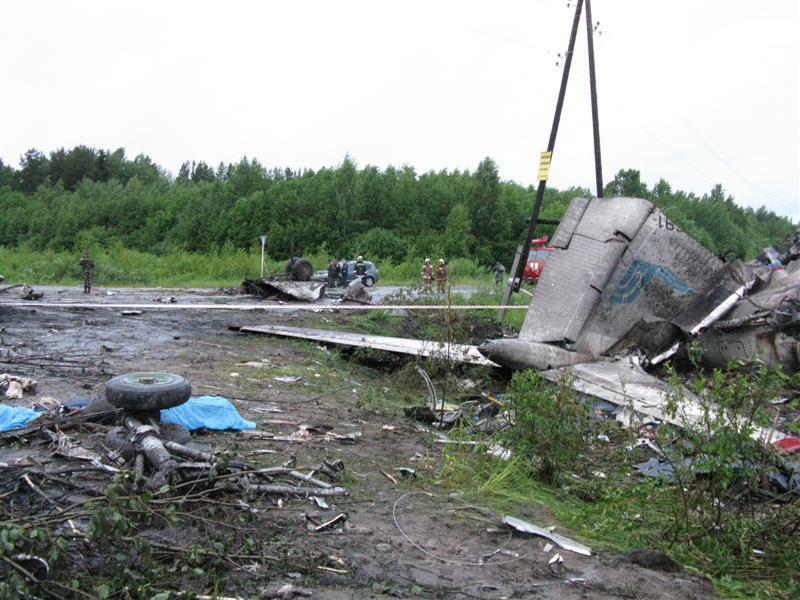 Investigators of the Russian Interstate Aviation Commission (MAK) presented the findings of their investigation into the fatal Yak-42 accident at Yaroslavl in September 2011. On September 7, 2011 a Yak Service Yak-42 passenger jet crashed on takeoff from Yaroslavl-Tunoshna Airport (IAR), Russia, killing 44. The airplane carried members of the Lokomotiv Yaroslavl ice hockey team for a match in Minsk. while the captain had over 1300 hours of experience flying Yak-42 aircraft, he flew the smaller Yak-40 aircraft before that and had more experience in those aircraft. The same applied to the copilot. Both aircraft have a different method of braking and the captain or copilot (it could not be concluded who pushed the brakes) probably held his feet on the pedals during takeoff in a similar manner that he had used on the Yak-40. In the accident he inadvertently activated the brakes while pulling on the controls to lift the nose for takeoff. The investigators established that there were at least four contributing factors, including a lack of pilot training, the absence of control over the crew’s preparation for flight, the pilots’ failure to follow standard takeoff procedures and poor coordination between the crew during the takeoff. An Iran Air Boeing 727 passenger jet was damaged beyond repair in an accident about 8 km from Urmia (Orumiyeh) Airport (OMH), Iran. About seventy occupants were reportedly killed. 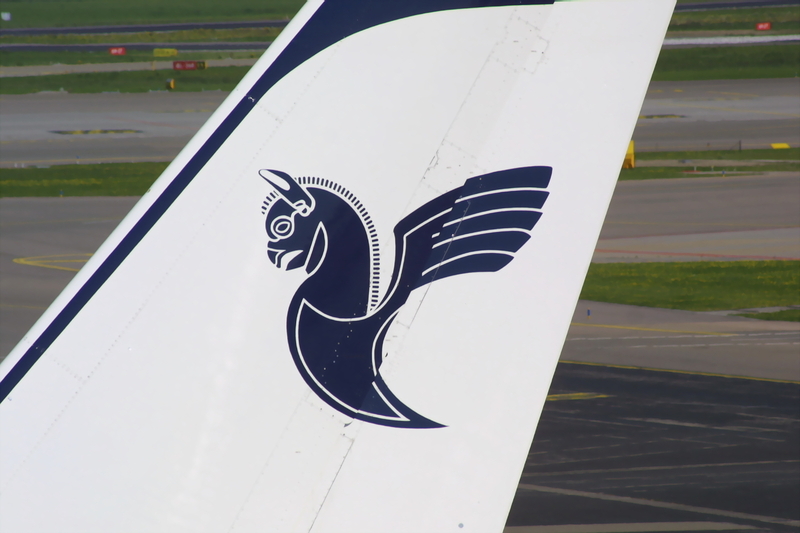 Iran Air flight IR277 departed Tehran-Mehrabad Airport (THR) at 18:15 on a domestic flight to Urmia (Orumiyeh) Airport (OMH). The flight was delayed over two hours due to severe weather at the destination. There were 93 passengers and twelve crew members on board. The Deputy Minister of Roads and Transportation indicated that the accident occurred during a forced landing outside the airport. A spokesperson from the Red Crescent organisation said 70 people were killed in the accident. Update Jan 10, 05:20 UTC: Latest media reports indicate that 77 people were killed, 26 people were injured and two missing. Update Jan 10, 20:25 UTC: Latest media reports (IRAN) confirm that 77 people were killed. According to local aviation sources in Iran, the airplane involved in the accident was EP-IRP. This has not yet been confirmed by CAO officials. EP-IRP is a Boeing 727-286 that was delivered to the airline in 1974. According to Aviation Safety Network data, this accident is the 10th worst accident in Iran. The previous fatal accident involving a Boeing 727 on a passenger service, happened about six years ago, in December 2003. The USAF Accident Investigation Board reported that the July 2010 accident involving a C-17 Globemaster III was caused by “pilot error”. The McDonnell Douglas C-17A Globemaster III transport plane was operated by the US Air Force 517AS/3rd Wing and was going to practice maneuvers for the upcoming Arctic Thunder Air Show at Anchorage-Elmendorf AFB, AK (EDF). The airplane executed a takeoff from runway 06. After the initial climb out and left turn, the pilot executed an aggressive right turn. As the aircraft banked, the stall warning system activated to alert the crew of an impending stall. Instead of implementing stall recovery procedures, the pilot continued the turn as planned, and the aircraft entered a stall from which recovery was not possible. 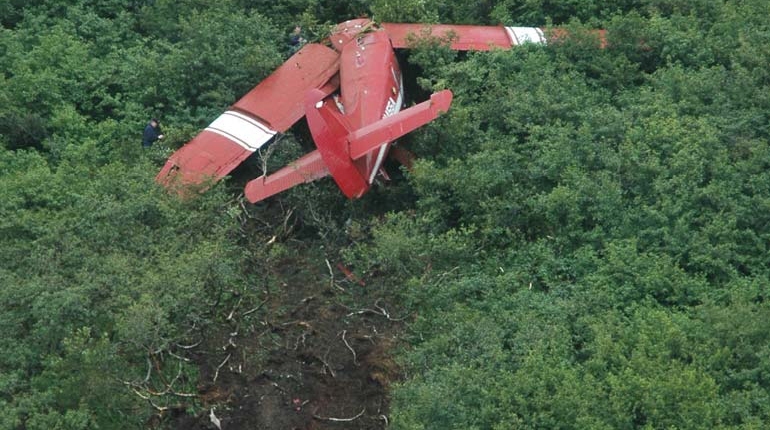 Although the pilot eventually attempted to recover the aircraft, he employed incorrect procedures, and there was not sufficient altitude to regain controlled flight.The aircraft impacted wooded terrain northwest of the airfield, damaged a portion of the Alaskan Railroad, and was destroyed. The board president found clear and convincing evidence that the cause of the mishap was pilot error. The pilot violated regulatory provisions and multiple flight manual procedures, placing the aircraft outside established flight parameters at an attitude and altitude where recovery was not possible. Furthermore, the copilot and safety observer did not realize the developing dangerous situation and failed to make appropriate inputs. In addition to multiple procedural errors, the board president found sufficient evidence that the crew on the flight deck ignored cautions and warnings and failed to respond to various challenge and reply items. The board also found channelized attention, overconfidence, expectancy, misplaced motivation, procedural guidance, and program oversight substantially contributed to the mishap.